I combed the internet for every Blue Rodeo tab I could find and put them up on this site. 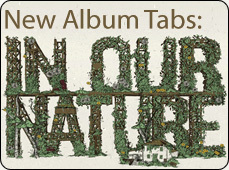 Having exhausted the net, there were still many songs that I could not find tabs for. So I asked for some help from my fellow guitar players at br.com. The response was fantastic. What a community effort. Thanks folks, I couldn't have done it without you. Ryan Robson - the transcription king. If I didn't have it, he figured it out. Travis Bird - The current administrator for the band's offical site for his continued support of this site and its community effort. Thanks too for graphical assistance for the redesign last year. Art Fougere - One of the first help out with tabs and suggestions. Art Levert - Indispensible for those tabs no one else had and for "official" corrections. James Penny - for guitar tabs, what else eh? Vishal Bhatia & Lisa Wilkes at BlueRodeo.Com for their initial support and recognition on the band's official site. There are many others, too numerous to mention, who have helped with tabs. Know that your assistance is grealy appreciated. The song transcriptions/chord profiles/tabs found on this site are the intellectual property of their respective authors. The creator of this site does not claim ownership over these works. Each tab file is credited to the respective author or the source website if the author is unknown. Stratomaster.Ca was created and written entirely by Rob Penfold. This site is written in HTML using only basic tables, links and images as to make the site as any browser friendly as possible. Hosting for Stratomaster.Ca is generously provided by Webmastering Services. Site copyright 2002 - 2013 RobPenfold Webdesign.